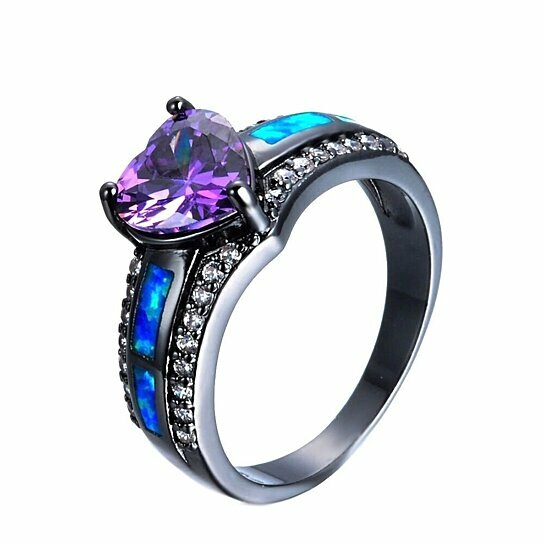 Lab created opal and amethyst heart ring. Double, not stackable bands, are enriched with sparkling natural white sapphires . Thrive on emotional freedom, positivity, joy, and confidence. Opal stone is thought by some to empower and drive you, as well as giving you peace and even a touch of luck!